I saw her pic on insta and my jaw dropped. Surely this pic was taken in New York? Europe? LA? Jessica Herin @jessicaherrin CEO of @stelladot standing in front of a gigantic shiny heart captivated me. I looked at the geo location on her post. Donum Estates? Must be in Napa. I clicked on the location. A by reservation only winery. Pricey. Incredibly worth the splurge. Chardonnay and one of California’s top Pinot producers. 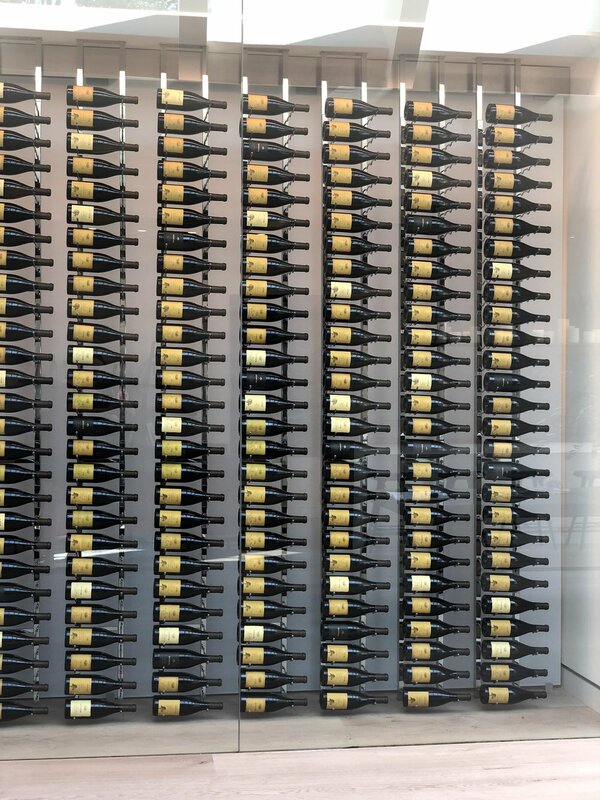 An awe-inspiring art and sculpture collection that pairs perfectly with the exquisite wines. 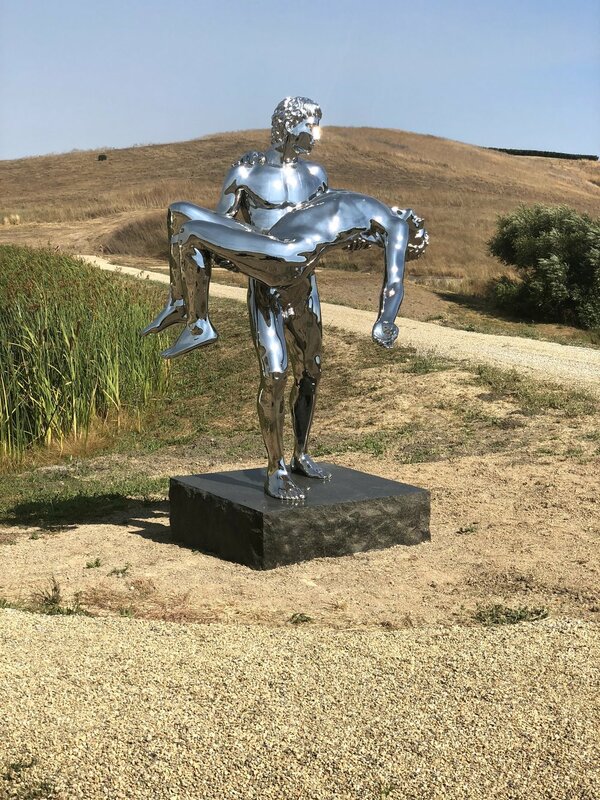 World-class, international, contemporary sculptures on their 200 acre Sonoma estate. 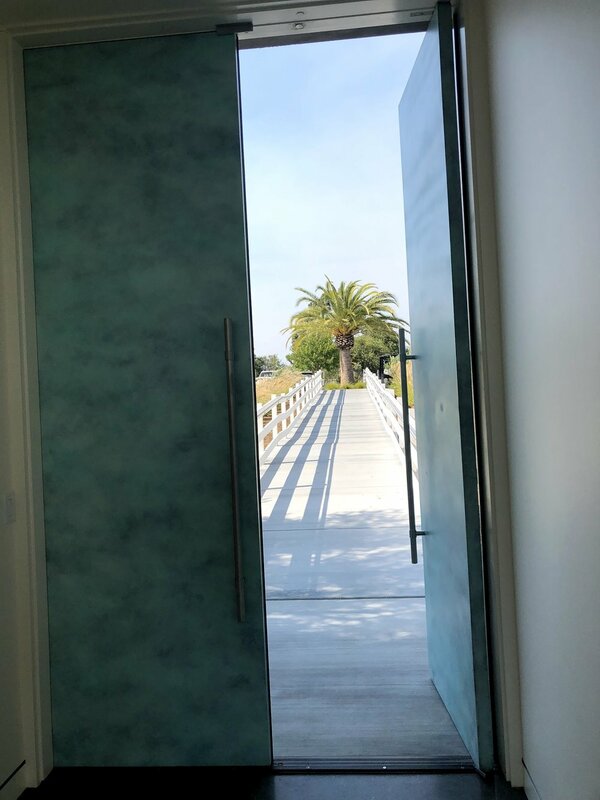 “If you take art, put it into a beautiful landscape and at the same time enjoy it with a glass of wine, the experience is much larger than if the three are enjoyed separately.” Says the majority owner of Donum. Can you believe these pictures?!?!? 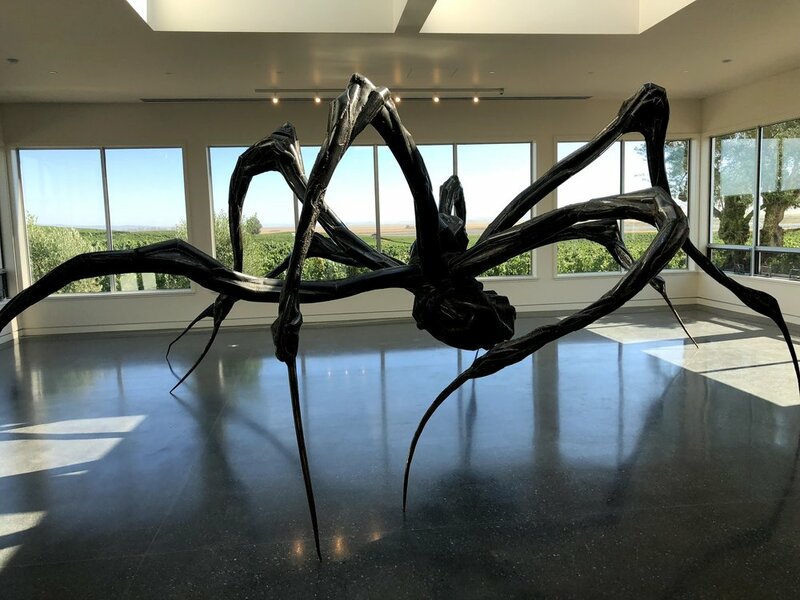 A 9 feet tall and 27 feet wide bronze and steel spider. They had to build a special enclosure on the estate property just to house this spider. Sanna, a giant head sculpture. The first sculpture you see entering the estate. At the end of the wine tasting a rugged atv tours you around the vast property to look closely at each sculpture. I posed in front of the “Love Me” sculpture. A heart in polished mirrored steel. In its center a deep ‘black hole’ type cavity. 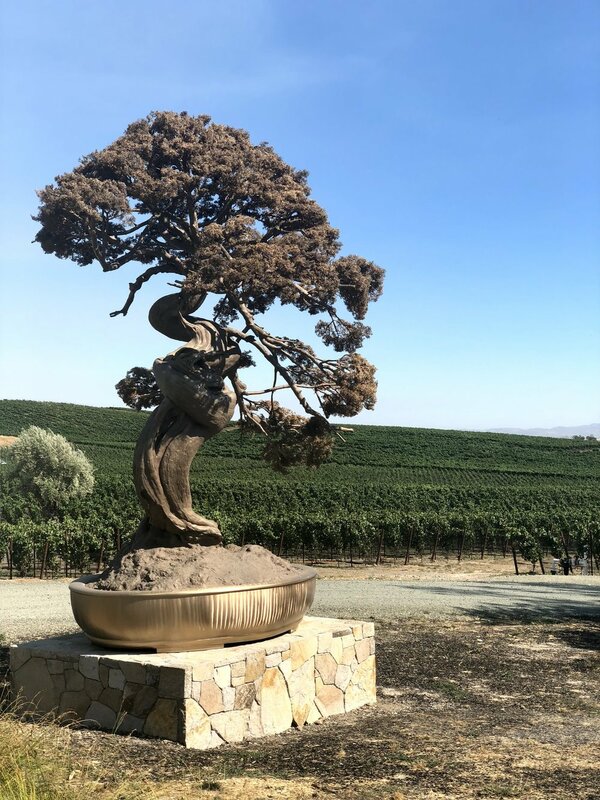 This heart presides over the meticulously cared for Donum Vineyards. Located atop a hill in a remote area, off the beaten path in Sonoma. 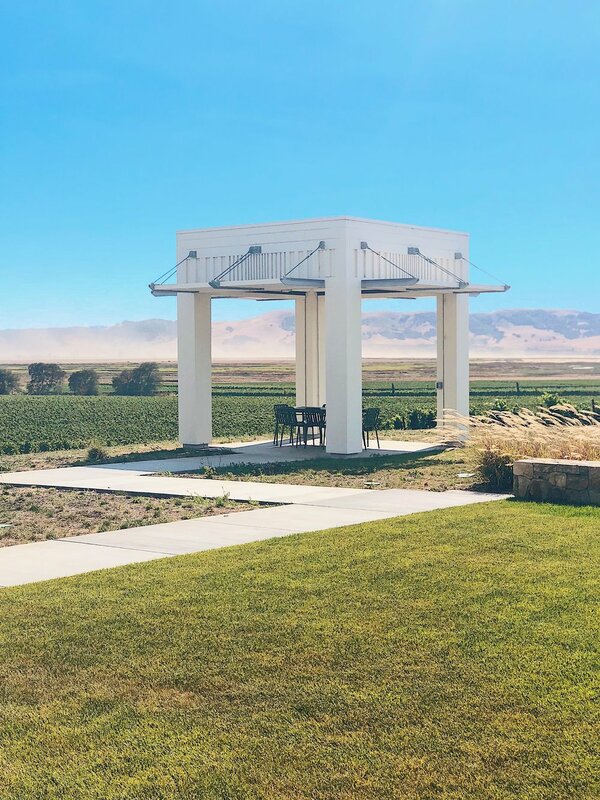 While driving to the 150 acre Donum Estate property, you’ll see in the distance a bright object. A massive object sitting up top a hill and surrounded by vineyards. It’s the epic bright, shiny 24 foot Richard Hudson stainless steel heart, titled ‘Love Me’. One of 35 artworks placed strategically on the estate. Allen Warburg, owner and curator of the art, introduced the first sculptures in 2015. 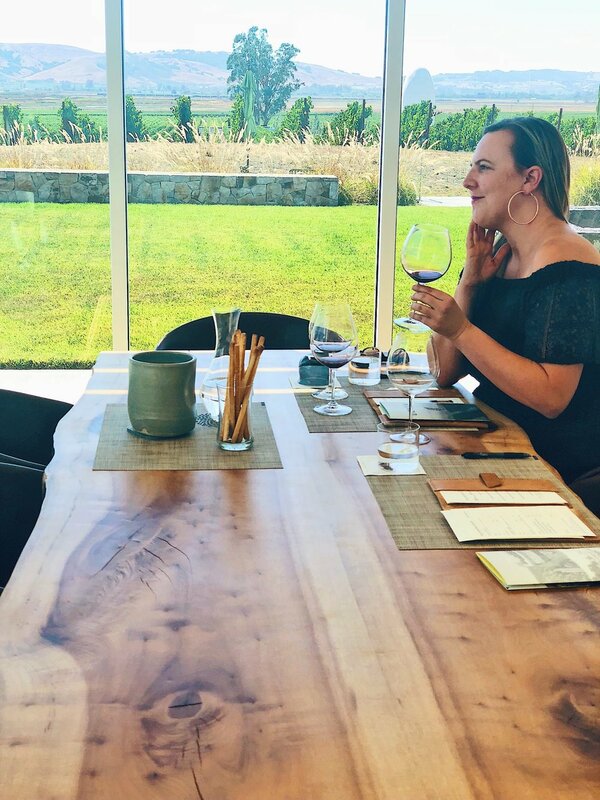 The Donum experience leaves a person mesmerized and at times speechless. Clearly every detail of the experience denotes passion for the finer things in life. Sampling the premiere Pinot Noir and Chardonnay, and viewing the estate vineyards. This is an experience to share with out of town guests. The grand experience requires an appointment. Book your appointment well in advance. A sit down, private tasting is $80 pp. Pinot Noir is sourced from Carneros, Anderson Valley and Russian River Valley. 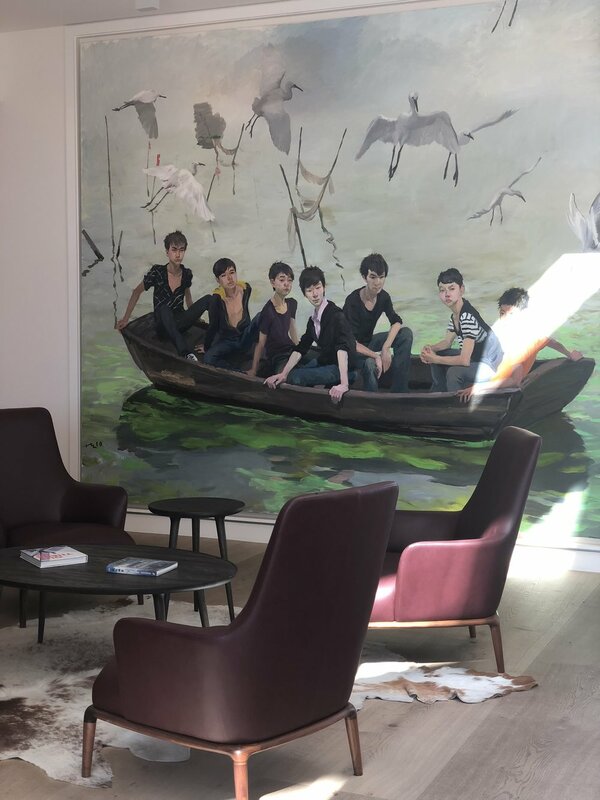 In September 2018 the ultra modern, hospitality space called the Donum Home opened. 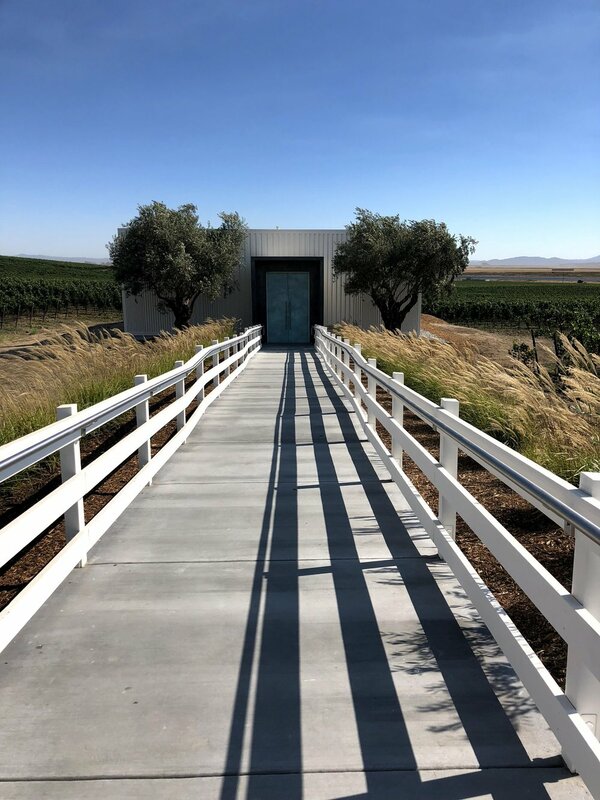 The Donum winemaking facility also opened for production. 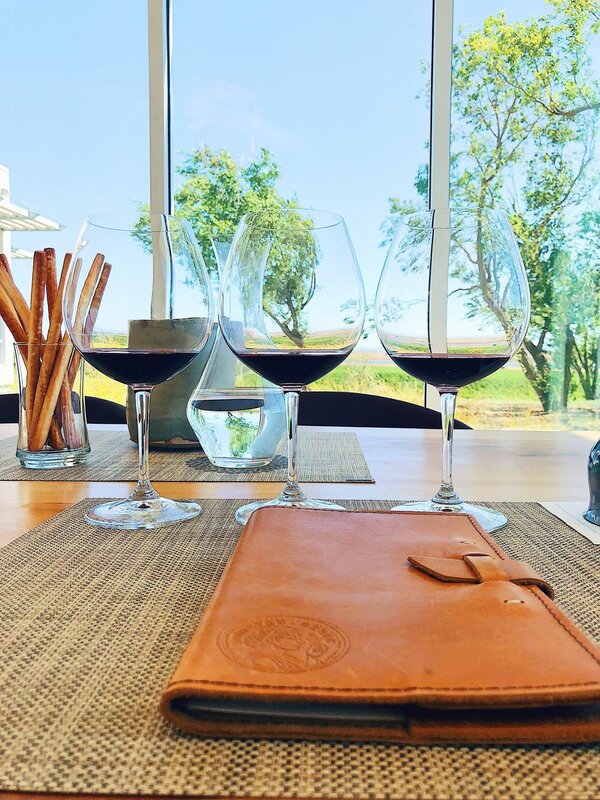 The Carneros breeze is a staple of the experience and to the south is a marsh land. President and Winegrower Anne Moller-Racke is the heart and soul of the wine production. A native of Germany, she arrived in 1981 to begin her winemaking career in Sonoma. In 2001 her Donum winemaking experience started. She was instrumental in developing the Donum Ranch and promoting Carneros AVA. In 2011 Anne sold the Donum Estate to Winside, Inc, five Danish investors. Anne’s initial Donum team stayed on after the sale to continue the fine wine tradition. Donum means “gift of the land”. 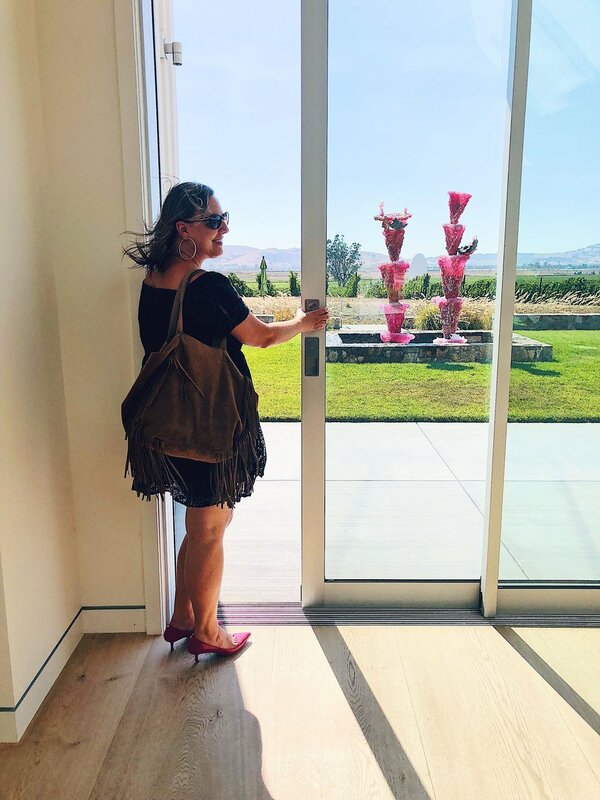 A gift of wine, tremendous art treasures, and immaculate vineyards.